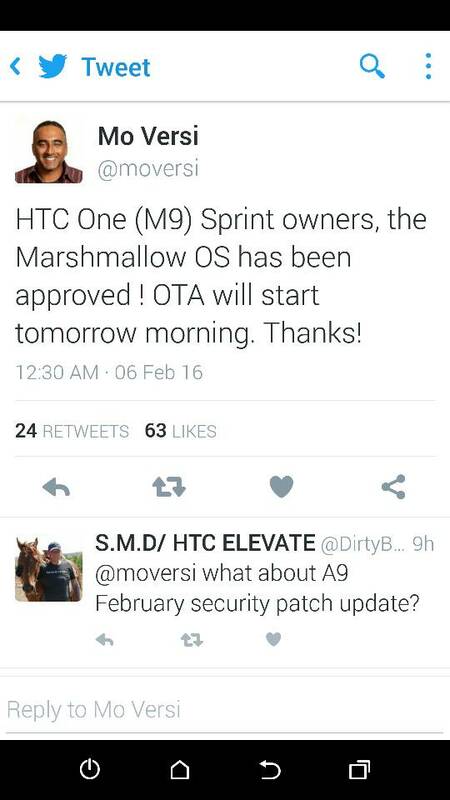 Per Mo Versi's tweet, HTC One M9 for Spring getting Marshmallow this week. Boom! RUNL0ST01 and davidtm like this. He said "next week" yesterday, so from the 7th-14th not this week. He said it on last Friday. So "next week" would be week of Feb 1. This is exactly why I'm going back to iphone, too much inconsistency. I don't understand why the m8 got the update for Sprint before the m9. I don't know why the m8 got the update before the m9? Great news,sprint finally released Android mm!! Haven't gotten it yet manually,has anyone else? Not yet. I'm guessing by Monday or so. Read it on the Sprint site too. HTC still has it in Stage 3, and no tweet from Mo Versi.....Kinda strange. Why did they release it for the m8 before the m9? I would probably say sales the m8 jist sold more. makes sense to please your higher fan base. 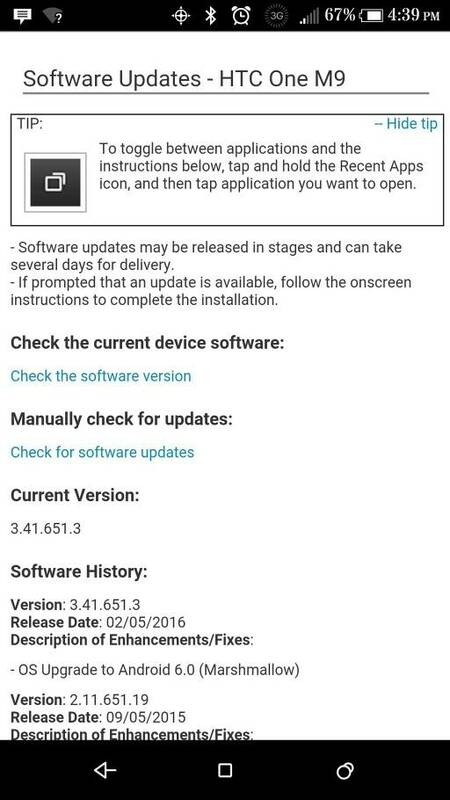 The ota is suppose be rolling out now according to moversi. Just got it and am installing!!!! They were right, it took an hour to download and install, in two downloads. I'm still twerking things like battery optimization, but over all it's pretty smooth and quick... I'll give it a few day to see if theres any battery improvement. on screen lock when it show notification it contact hidden how to show contact info if someone txt or from app? I'm still twerking things like battery optimization, but over all it's pretty smooth and quick... I'll give it a few day to see if theres any battery improvement. How are you tweaking your battery? My battery, before the update, plain sucked. Charged every night until 4:30 am. Normally about 2-3pm, it was down to 14%. Usually sits on my desk at work. Very little phone and text use. No games at all. 7 phone calls and 3 texts today. Unplugged from charger at 4:30am. Did app optimization at about 9am. Is anyone getting a sprint ID error code 20 after Android m update? I did a couple times but now it's stopped. Just got the error message again. Unable to change screen lock wallpaper for my Samsung Win i8552, can I get some help? How do I change my phone answer messages like busy, driving, etc?